AOPA's Aviation Services department has compiled much information on scholarships and loans, including an extensive listing of available scholarships. The AOPA subject report, Aviation Scholarships, is available free online. Tim Lower, aviation technical specialist and experienced CFI, suggests starting where you fly. "Speak to currently enrolled students in the program, and to some who have graduated." Before you ask for money, know how much you will need and whether the program you plan to join is the right one. "Ask about number of available aircraft and CFIs, " says Lower. "Ask students about times they wanted to go fly, but couldn't for various reasons, or if money wasn't refunded." Once you've determined whether a loan or scholarship is your best bet, you need to turn your attention to the application. Scholarships require the applicant to meet specific criteria during the application process; these tips can help you with a loan application as well. As the chair of several scholarship committees for Women in Aviation International, Mary Ann Eiff is often asked questions about how to win aviation scholarships. She starts with the basics. "Who wants a pilot or mechanic who cannot follow instructions?" says Eiff. "You would be surprised how many applicants simply do not do what they are told." For example, if you are told to send five complete sets of paperwork, ensure that you send five copies of each page of the application. First, put the paperwork in the order listed in the instructions. If the instructions say to send the materials stapled, don't send them in a folder. Also, don't send attachments such as videotapes or CDs containing parts of your portfolio, unless the sponsor specifically requests such material. Most scholarship committees want to evaluate applicants on an even playing field. Extraneous material adds hassle and won't swing the decision in your favor. Your letters of recommendation should be current. Typically, one letter should be from a person in aviation, one who knows your skills and experience. Another letter should be from someone who has known you for a long time, such as a neighbor, Boy or Girl Scout leader, or a person in your church. This reference can address your character and how you have worked to get where you are today. The third letter can be from someone who knows your work ethic. This might be another person in aviation, or it might be a friend. This person could also address what you have achieved, and how, and where you are expecting to go from here. Be sure your recommendation letters are signed by the person who writes them. They should include a typed name and address and phone and e-mail address, so if there is a question, the references can be contacted. Be sure you are eligible for what you are applying for. You must meet the minimum requirements for the scholarship, or you may need to wait another year or two before you apply for that particular scholarship. 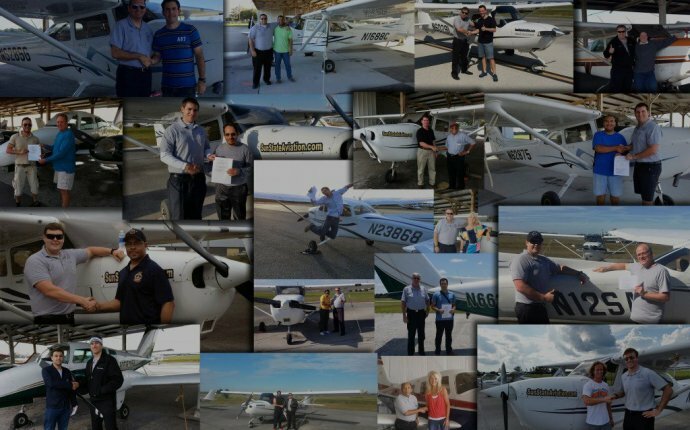 "Yes, every year, we have someone apply for a type rating, but they admit they need a private pilot certificate first, " says Eiff. But open up your options. Believe it or not, many scholarships go unawarded. If you'd like a career in aviation but don't necessarily need to fly for a living, look into scholarships for aviation management, engineering, dispatch, or aviation maintenance. Most careers in aviation - professional pilot, maintenance technician, engineer - require attention to detail. How you prepare your application speaks loudly about how detail-oriented you are. Start by using a copier that makes clean, clear copies. When copying logbook pages, make a copy of the left and right page as best you can - that counts for one logbook page. Then, cut that copy and paste it onto a single sheet so the whole page can be copied in a readable format onto a single 8 1/2-by-11-inch sheet of paper. You may need to shrink the copy to make it fit onto one page if your logbook is large. Make it easy to access and read your flight times. Be sure that at the end of each page, your total time for the previous page has been included. Also, make the aircraft types that you fly clear on your logbook pages. If you fly the same aircraft every day, give the entire N-number and type of aircraft in the first entry on each page, as well as the complete date. You also need to sign each logbook page to verify the accuracy of those entries. Be sure your medical is current and appropriate for that next rating you desire, and that copies of all your certificates are included, not just the last one you received. The airlines require a copy of your driver's license, along with your driving record, available from your state. Your pass/fail record from the FAA is required for airline type ratings, too. If you plan to apply for an airline scholarship in the next year, get started right away on collecting those two pieces of essential information. It takes several months for some states to get driving records to you. On the application, as with all forms, fill out all blanks legibly. Mention only the company's name at the top of your application, and copy the blank form before you fill it in. Then make the required copies after you have completed each application. Put the original application and all the original copies of your recommendation letters in one set, label it "originals, " and then put it on top of the set for that sponsor. Staple the sets of paperwork for each scholarship you are applying for. You don't need to send letters of recommendation separately. You may need to remind those writing your recommendations to get the letters to you before the shipping deadline. Be sure your package is postmarked on or before the last stated day for shipping. There is no need for special handling, but good packaging is highly recommended. Put the shipping address on each of the inner envelopes, in case the outer envelope should become opened or burst. With numerous applications, many scholarship sponsors will not be able to tell you if your package arrived. Instead, send it via UPS or FedEx and note the tracking number, or send it by certified mail. Once you've applied, best of luck! "There are so many [sources of scholarship and loan monies] out there - you might qualify for any one of them, " says Brown. Julie K. Boatman is a contributing editor of AOPA Flight Training magazine. She is a CFII who holds commercial, single- and multi-engine land, and glider rating.